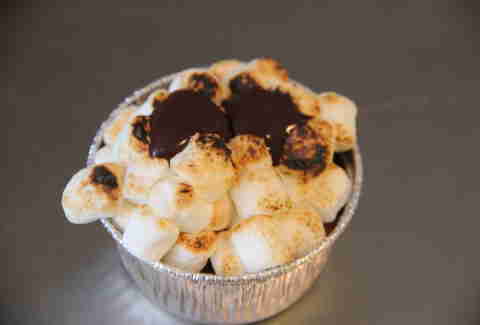 Four layers of toasted marshmallows + vanilla bean brulee (+ choco sauce eyes!) 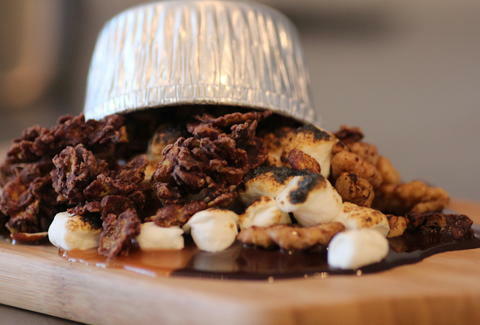 = a dessert so good, you'll probably need to change your proton pack. 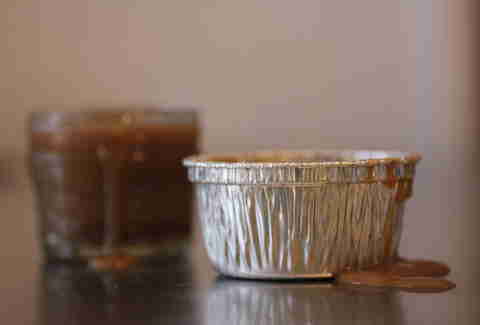 In order to properly get our Torn on, we paired the coffee brulee with a layer of bourbon caramel, plus an extra shot of bourbon caramel on the side to make sure we also got our Rip on. 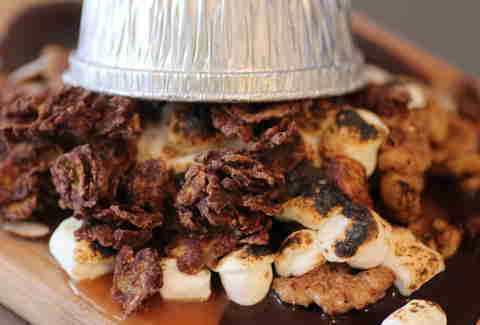 Take whatever toppings you might want (chocolate cornflake clusters, toasted nuts, sea salt caramel, etc. 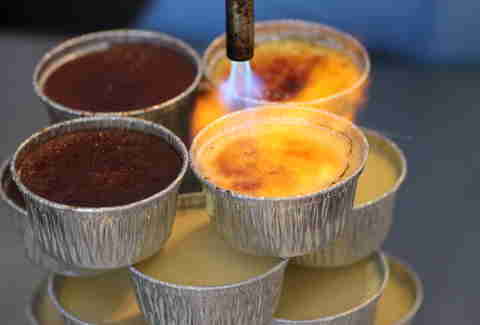 ), and top THEM with YOUR BRULEE. Pshpsohsphgsegpsehgsegph* (*sound of your head exploding). Screw toppings, just get all the brulee you possibly can by stacking a vanilla on top of a double chocolate on top of a coffee on top of a lavender... or maybe another double chocolate.